The 23year old had become the fourth woman athlete from India to win an Olympic medal. Sakshi Malik won bronze in women’s 58kg freestyle. She is a member of the JSW Sports Excellence Program along with fellow female wrestlers named Babita kumari, Geeta Phogat and Vinesh Phogat. Malik had previously won the silver medal at the 2014 Commonwealth Games in Glasgow. Also in Doha, she won a bronze medal at the 2015 Asian Wrestling Championship. At the Olympic World qualifying tournament in May 2016, Malik qualified for the 2016 Rio Olympics by defeating China’s Zhang LAN in the semi-final round. At the 2016 Summer Olympics, she became the first Indian woman to win an Olympic silver medal. In the 2016 Premier Badminton league, Sindhu was the captain of Chennai Smashers team. She won all of the five matches and helps the team to qualify for the semi-finals in the group league. However, in the semi-final, her team was beaten by Delhi Acers. 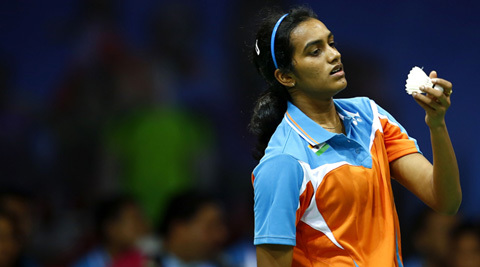 In October 2015, playing at the Denmark Open, Sindhu reached the final of a Super Series event. On finals, she defeated three players, named Tai Tzu-ying, Wang Yihan and Carolina Marin. In November 2015, at the Macau Open Grand Prix Gold, after defeating Japan’s Minatsu Mitani in the final, champion P. V. Sindhu won women’s singles title. He completed his 50 kilometre race walk in 4:07:55 seconds after 34 members. Eighteen-year-old Aditi was slotted 58th among the women who had qualified for the Rio Games. She’s ranked 439th on the official women’s world rankings list. She became the first player of the country to win the Ladies British amateur stroke-play championship in 2015 at Leeds. She is the only Indian golfer who played the Asian Youth Games 2013, Youth Olympic Games 2014 and Asian Games 2014.